Leviticus 17 provides theological insight that not only undergirds the sacrificial system in Leviticus but also informs the theology of the rest of the Bible. 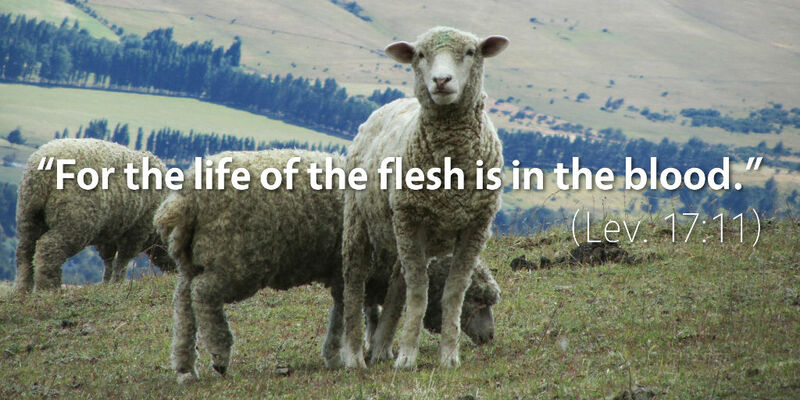 The chief value of Leviticus 17 lies in its explanation of the theology of blood. The chapter itself is divided into two sections, the first to prohibit sacrificing animals in any place other than the tabernacle (Lev. 17:1–9) and the second to prohibit the eating of blood (Lev. 17:10–16). The rationale behind both sections is the same: the blood of animals is too precious to shed outside the context of a holy sacrifice. So, Yahweh first condemns anyone who slaughters an animal in the open field, athough we should pay careful attention to the rationale given in Leviticus 17:5: “This is to the end that the people of Israel may bring their sacrifices that they sacrifice in the open field, that they may bring them to the LORD, to the priest at the entrance of the tent of meeting, and sacrifice them as sacrifices of peace offerings to the LORD.” The purpose of this prohibition was to prevent idolatry. If you simply wanted a barbecue, you could bring the animal as a peace offering, which was a communal meal eaten in the context of a sacrifice to Yahweh. This theology provides the background for one of the more puzzling sayings of Jesus: “Truly, truly, I say to you, unless you eat the flesh of the Son of Man and drink his blood, you have no life in you. Whoever feeds on my flesh and drinks my blood has eternal life, and I will raise him up on the last day” (John 6:53–54). Of course, Jesus wasn’t talking about cannibalism, but about faith: “I am the bread of life; whoever comes to me shall not hunger, and whoever believes in me shall never thirst” (John 6:35). To drink the blood of Jesus is to believe in the blood of Jesus as our very life: the substitutional, atoning sacrifice for our sins, given to make atonement for our souls. 1 Gordon J. Wenham, The Book of Leviticus, NICOT (Grand Rapids, MI: Eerdmans, 1979), 28, 245.